If you follow Spokane Rising on Twitter, you know that a couple of weeks ago, I attended a conference in Buffalo, New York. The conference wasn’t related to the work done here, but it seemed that everywhere I turned, I was struck by a piece of inspiration that I would be able to bring back to this blog and to the Spokane community. Perhaps most pressingly, I was reminded of the necessity of taking pride in your community. Buffalo does this particularly well; having the term “Buffalove” certainly makes it easier. But there was at least one concrete piece from the conference opening keynote that we can bring back to Spokane: converting conference attendees and visitors into evangelists for the city. John J. Hurley, the President of Canisius College, delivered a speech that sung the praises of his city and his community. There’s no reason we can’t do that here. Let’s bring community leaders, university presidents, conference planners, and business leaders together. Let’s develop a framework for talking about the revitalization of Spokane. With the Davenport Grand, the recent Convention Center completion project, and nearly $1 billion in public investment to come within the next ten years, it’s time to sing the praises of our recent success. One thing that struck me about Hurley’s keynote at Canisius College was the way he inextricably linked the success of his school with the revitalization of his city. Why doesn’t the same happen at Gonzaga and Whitworth? Where’s the pride in WSU Spokane and EWU? Let’s build institutions which tie their identity directly to Spokane. With conferences, we can work with organizers to develop a language for discussing Spokane. And let’s encourage them to include free days or arrival days for conference attendees to explore Spokane. 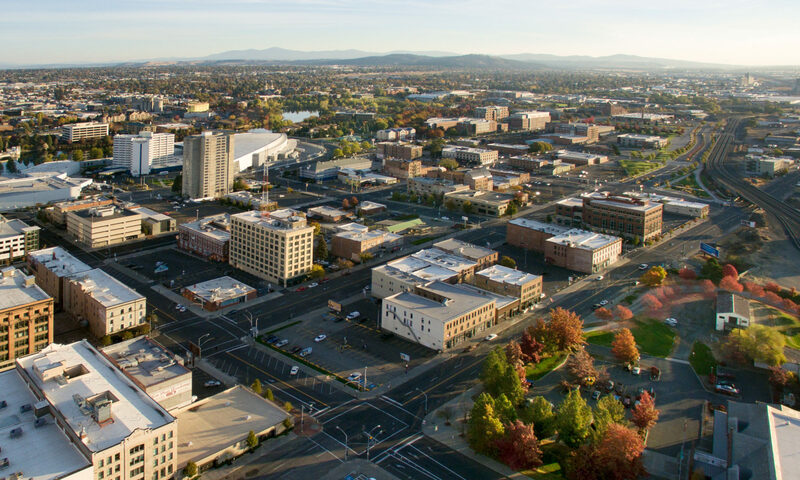 When we send representatives of our city, whether from City of Spokane, Visit Spokane, Downtown Spokane Partnership, Greater Spokane Incorporated, or any other important local organization, let’s make sure they sing the praises of our city. Because the people with whom they speak will become evangelists for the city itself. Send them to Kendall Yards, to Browne’s Addition, to Coeur Coffee! Extol the virtues of Riverfront and Manito Parks! Exhort them to visit Flying Goat, South Perry, or the Community Block/East End. And then tell them to tell their friends, and for them to tell their friends. We have a lot to be proud of in Spokane, but there’s a lot to be said for making others excited about it as well. SHARE YOUR THOUGHTS: What do you think? Do you think that it would be a good idea to encourage visitors to explore Spokane to make them evangelists for the city? What types of programs could encourage local leaders and conference planners to sing the virtues of Spokane? Or should we just shamelessly tell people to tell their friends (I prefer this option)? Post your comments below, join us on Facebook, follow us on Twitter, or talk to us in person. We love to hear from you.